Is Bitcoin Good for Freelancers? Bitcoin was initially developed to be a payment system. But it got so famous that its value rose up exponentially due to huge investment and one bitcoin now costs thousands of dollars. Naturally, with such higher denomination, it is inconvenient for daily transactions. But during its initial phase, several freelancing platforms developed the facility for the clients to post freelance jobs and pay in bitcoin and for freelancers to accept it. 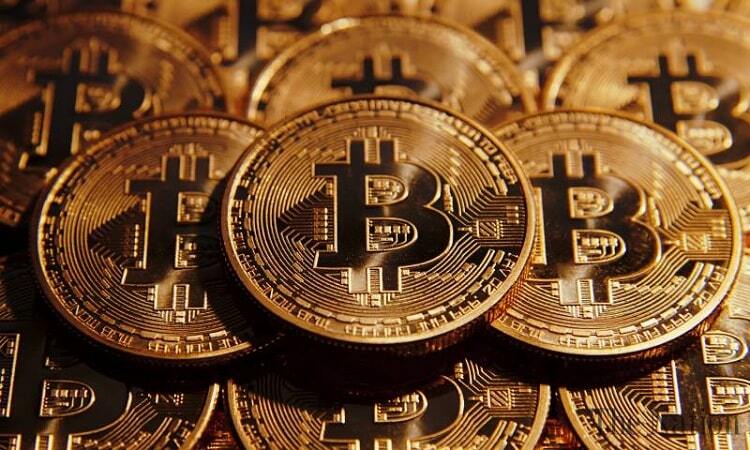 The popular of bitcoins went to such a level that everyone started to invest it and clients were very happy to pay with bitcoin as its price was rising up and they had to pay less than usual due to the great return for holding bitcoins. Similarly, the freelancers were extremely delighted to accept bitcoins even though infractions and keep them in their accounts and withdraw them when the price rises up steeply. Some freelancers started preferring Bitcoin over PayPal which is the traditional platform for accepting money from the international clients. Now, the question arises is bitcoin good for freelancers? Why Is Bitcoin Good For Freelancers? Secure, Less Charge And Withdrawal Period – Bitcoin is a great platform for freelancers to accept payment from the clients over PayPal because Bitcoin charges very less fee in comparison to PayPal and you can keep it in your account as long as you want. To be specific, PayPal charges between 3% to 5% depending on which country you are in. On the other hand, Bitcoin charges less than 1% and most importantly, you own your bitcoins which is more secure than PayPal owning your money and there are various reports of money getting hacked from PayPal accounts. Furthermore, in some countries like India, PayPal money is withdrawn automatically to the bank account linked with PayPal within 7 days after the money is received from the clients. It does not matter how big or small the amount is, it will be auto-withdrawn every single time. There is no such thing with Bitcoin as you can keep the bitcoins in your account as long as you want and withdraw them when you want. Deciding Factor – The determining factor why clients or freelancers opt for bitcoins is that it is a prized possession which means its value keeps fluctuating and mostly goes up with time. For example, clients can buy a few bitcoins as an investment and then hire freelancers for their projects. Since bitcoin’s price generally goes up, it is safe to assume that by the time the clients pay the freelancers with bitcoins, the value of the bitcoins has gone up and hence, they made a good profit from their investment and also made the payment seamlessly. From freelancers’ perspective, when they are accepting payment through Bitcoin platform, instead of withdrawn the bitcoins in their national currency to their bank accounts, they can keep the bitcoins in their digital wallet and treat it as an investment. Again, the price of bitcoins is going up steeply even though there are some steep falls as well in between. Therefore, whatever fraction of bitcoins they get from the clients, they are likely to get more value than immediate withdrawal if they keep them in their wallet for some time. So, not only are they paying less fee, they are getting more value after conversion than usual which is not available on any other payment platform. Why Is Bitcoin Risky For Freelancers? The popularity of bitcoins began when it became tradable and people started to make crazy money from it. Since the prices of bitcoins have gone up exponentially and one bitcoin costs multi-thousand dollars, the daily fluctuation or volatility of the bitcoins is extremely high. Furthermore, many experts are calling it as a bubble ready to burst and any negative news is making it undergo steep falls. Therefore, it is not a safe way of accepting payment as it is with PayPal because the price action of the national currency is never steep due to the low value. Therefore, it is better to accept payment through PayPal or direct transfer to the bank unless of course, the clients post freelance jobs whereby Bitcoins is the only way to pay. Bitcoins have become nothing more than gambling at this point. For example, a client hires you and pays you one bitcoin for an order. Even if you keep the bitcoin in your wallet for a day, it can go down 5% to 10% as per the trading value in the market. You may be mentally forced to withdraw it due to the fear of further loss. But in the next few days, it can go up 10% to 20% easily and in this wild fluctuation and panic, you have lost a chunk of your hard-earned money. Unless you are sure that you can sustain the bitcoins until you get a gain and see them through when the prices are falling sharply, it is better to go for the traditional way of accepting payment. The bottom line is you should always prefer the traditional way of accepting payments like PayPal even though the transfer fee is high. You will get peace of mind due to lack of fluctuating and your hard earned money will not be lost due to panic as is the case with bitcoins. If the clients hire freelancers and pay in bitcoins, you have no other option and you should not wait for a great gain from bitcoins and withdraw with a small return because you never know when it is going to crash, if at all. Bitcoin vs Ethereum vs Litecoin - What’s the Difference? Previous post Bitcoin vs Ethereum vs Litecoin - What’s the Difference?